I have had enough of these bullies. I think it is time we start suing people that threaten to steal our domain names. This is plain extortion: “you sell for $500 or I take your domain”. This is what the reputable CEO told me. So I got an inquiry for a 2-word .com I registered in 2006 from the CEO of a company in Singapore. The domain name consists of 2 generic words describing something that is in use for hundreds of years. They registered the same 2 words in the .co extension in 2014 and started their company in 2015. Their email came exactly 2 days after they got their trademark registered in Singapore and they threatened me that if I didn’t sell my domain to them for $500 they would file a UDRP complaint and get it that way. After I got the email I checked the US and EU trademark offices and found nothing from this company. I then managed (not easy for a newbie) to search the Singapore trademarks and found that they applied for a trademark in 2015 and it was registered just 2 days before they decided to threaten me. Even now, after 10 years of owning the domain, I am in no way infringing their 2-day old trademark. In 2014 they registered the .co that is used as their main website and in March 2015 they registered the .net which is now available as they probably dropped it. Then in July 2015 they registered the .org, .info, .biz and .us which they still own. They have raised more than $1.2 million in seed funding and now they are seeking a career in stealing. They gave me a week to accept their offer. I told them that what they are doing is Reverse Domain Name Highjacking (RDNH) and that they shouldn’t wait for a week before filing a complaint as I was not selling. I wrote this post immediately after I got this threat in June 2016 but I decided to sat on it for a while. It has now been 7 months from the threat and I haven’t heard from them. RDNH and FTRITP is in order! There are all kinds of domain name thieves out there; and they used all kinds of methods to steal names. Example: I have purchased few names I made up, according to “whois” these has never been registered. Now I seen few of my domain names are being used on twitter as their username?. In you situation, I think this dude is trying to steal your name; tell this loser to do what he wants to do. I’m not sure if domain buyer are required to check the whole world Trademarkname before purchasing. Moreoveer, you hold the king extension; and this dude wants freebies= ashamed. UDRP and panelists need to wake up and keep up the emerging domain names thieves. ? Suing individual companies would be a huge waste of time and resources. I think it’s time we sued ICANN. There needs to be SEVERE PENALTIES for rdnh. Until then parasites like this will keep taking pot shots. Call Zak if they bother you again. Sounds like time to report them for nexus violation re the .US. Oh well, I am not going to do that. So, would it have been possible for them to take away that name if for example they got that trademark in 2005 and operating in Singapore and you’ve registered your name in the U.S?? I’ve read my fair share of cases and from what I remember in one or more cases, the judge/s evaluate the possibility of the domain owner being aware of the company or the trademark. Smaller obscure companies and foreign companies (to the domain owner) would most likely lose even if the trade mark is older than the domain because if they judge him to reasonably not be aware of the company or the TM he would be able to keep his domain because no bad faith registration would be proven. In the course of life, we humans sometimes see mad dogs barking at us. I guess ignoring the barking mad dogs is the best policy. That is life. Sore losers, what can you do, offer $500, but pay $1500 plus other expenses for udrp go figure. Of course, it sounds like you have legitimate rights in the domain; so they’d be acting ignorantly / unethically if they attempted to take it from you via UDRP. And they’d probably lose the case. What amazes me, though, is how stupidly they’re behaving! It’s counterproductive to alienate the owner of X when you’re hoping to obtain X. Even if the CEO thinks (implausibly) that he can win a UDRP, logically he must consider the possibility of losing the case. Where would that leave him, his company, his brand? Either he’ll never obtain what he wants, or he’ll pay substantially more to get it. That’s foolish. 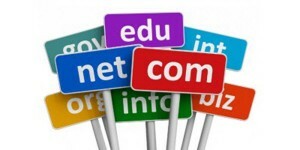 with other extension there is a chance she will approach you one day (she tries to buy many domains around). I know 3 people who delt with her. She works the same way. She offers you funny money but when you don’t accept that she threatens you. Her website is ugly (on purpose) but if you do a quick search you will find she is a secret buyer for big companies. I do not understand how reputable companies can hire her when you can find within seconds that she is a secret buyer (so actually these companies are losing money hiring her). He said If she doesn’t stop bothering him or this company attacts him he will make public how secure they are for their customers (they has been losing a lot of sensitive emails). As far as I know this is a banking company so it would hurt their reputation a lot. Maybe you should do something similar. Yes, I know that idiot’s company is smaller. But you should definitely make his name and company public, especially that you own this blog. Unfortunately, many of us met this motherfu..who want to still our domains. I feel this is our obligation to fight them one way or another. She wanted to buy my domain in 2013. I definitely don’t recommend to do any business with her. Need some option/opinion on how to death with this situation?It is about one of my domain name being used on Twitter as his or her username. Do I have the right to do something? Thank you. No domain is worth suicide. Please don’t “death with this situation”. Not when there are cat videos and baby ducklings in the world! @Joseph P. I think you might missed understood my message; this Twitter member used my domain exactly 100% letter by letter and word by word left and right of the dot. Gain advancement from other people expense is Okay? ? I think, nobody should used anyone’s domain names that they don’t pay for it and registered ? This kind of theif activities have increase; people using parked names; and make profits of names they don’t own?. I think this should be ELLEGAL; make profits from someone else registered domain names is a SCAM and THIEF? I’m about to contact Twitter about this situation. Twitter allowing people to used registered domain names that doesn’t belong to them is a THIEF!! ? Unless you have a trademark, I’m not sure that’s anything you can do. That’s why brand owners file trademarks – to secure their name. Example: you registered “Joseph.com” this mean I can used this name to my Twitter username ? Doesn’t matter whether it’s okay or not. You were asking if there’s anything you can do about it. I will make time and report this issue to Twiiter; I want to hear thier honest opinion about this situation. And points out these unfair activities? This mean you as a real owner of registered name cannot used this name; on Twitter etc if it also used in other media outlet. ENDUSER PAYS $$$$ to get the name they want; however, they couldn’t used It in other media outlet if they want to enhance product recognition ? So an enduser will try to purchase a name from a thief; that he or she never contribute a freaking dime for it?